Marsh Farm Futures joined forces with the Terrence Higgins Trust to offer residents, workers, visitors and the local community as a whole the opportunity to meet with numerous healthcare providers and organisations and take part in different activities to improve health, wellbeing and productivity. The event held in May 2018, had a steady stream of visitors eager to speak to the professionals and sample the free activities. Some of the organisations at the event included Penrose, Noah, Stroke Association, Alzheimer’s Society, Luton Sexual Health Services and Luton Community Mental Health to name a few. 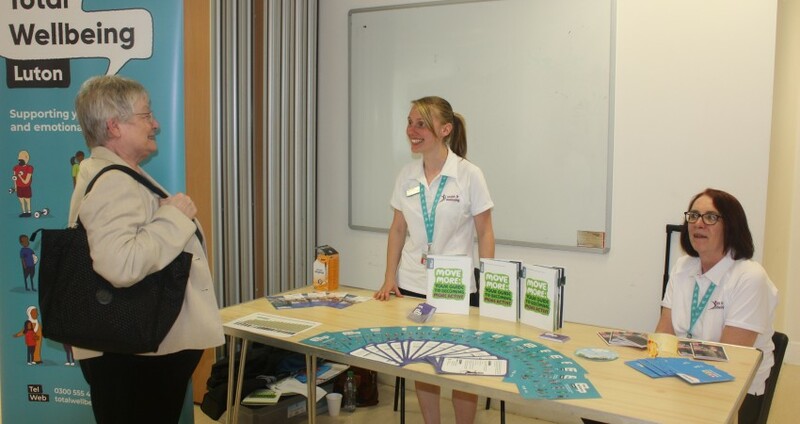 Visitors were able to sample different types of exercise classes and speak to health professionals about any concerns they might have. Cathy McShane, Youth and Communities Manager for Marsh Farm Futures said: “As our lives get busier, we tend to forget about our physical and mental health and it is a vital part of leading a fulfilling life.